Insulated Pin Types are widely used in a number of applications including electricity boards (Generation & Distribution), electrical industries (control panels, switch gears, transformers, circuit breakers) industrial for electrical applications (shipping, automobile, steel & fertilizers, chemical, cement and textile, chemical electronics, mining aeronautics, satellite and communications). We are supplying a wide range of Insulated Pin Types in Abu Dhabi, UAE and catering the needs of various industries. 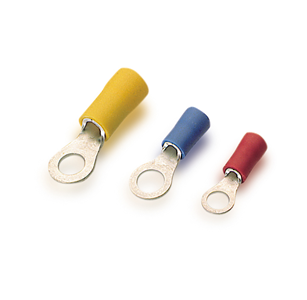 We procure these Insulated Pin Types from reputed manufacturers, who manufacture the pin types using technical expertise and cutting-edge machines. These are generally made of pure copper and are effective for an operating temperature range of 55 degree Celsius to 150 degree Celsius. A wide range of Insulated Pin Types can be availed from us at market leading prices. Our vast distribution network enables us of making quick doorstep delivery of the consignments all over the UAE.